The Pacific Coast of Costa Rica offers four distinct ecosystems: The last dry forests on the Pacific Coast are in the northern Guanacaste Province and on Nicoya Peninsula; and Tamarindo National Park boasts the last mangrove forest in existence in Central America. Playa Grande National Park is in this general area, and it is here that the giant sea turtles come seasonally to nest and lay their eggs (click here for their nesting schedule). 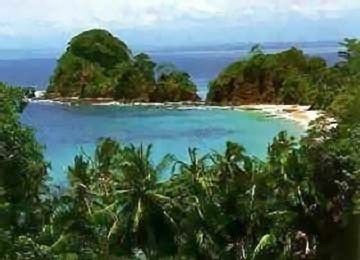 The Nicoya Peninsula is best known for vast stretches of unspoiled, white sandy beaches. In the mid-Pacific region (Puntarenas, Jaco & Punta Leona beaches), the temperate forest of Carara Biological Reserve is a transitional ecosystem between the dry forests of Guanacaste and the subtropical forests further to the south. Outside of Quepos is Manuel Antonio National Park (sub-tropical forest), boasting one of the most beautiful and pristine beaches of all Central America. Mountainside resorts and bungalow living are available, with many possibilities for water sports. Further south is the Osa Peninsula and Corcovado National Park (tropical rainforest), considered the most biologically diverse forest in the world. Accommodations are in jungle lodges, some affording a high level of comfort and style, while others are more primitive, providing basic lodging and meals.